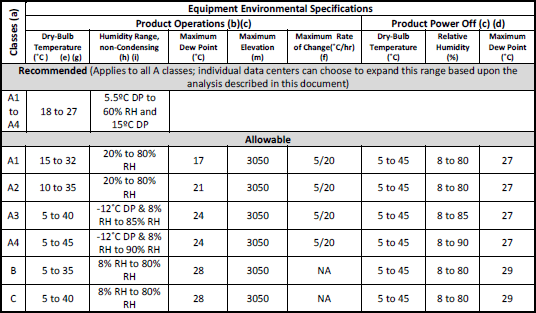 Due to these challenges, proper server room cooling requires specialized air conditioner equipment designed specifically for the unique requirements of the environment. In general, there are two (2) approaches to server room air conditioner – water-based and refrigerant-based (DX). Also, there are typically two (2) primary stages of server room cooling systems. The first is the heat removal stage. This is characterized by the CRAC or CRAH that sit within the server room and whose purpose is to cool the server room by removing the heat from it. The other is the heat rejection stage. This can be the condenser, dry-cooler, cooling tower, and/or chiller equipment whose purpose is to reject the heat removed from the server room into the ambient (outside) environment. Additionally, there are typically two (2) classes of server room cooling systems. The primary is precision air conditioner equipment that is purposely built for server room operation in that has a high sensible heat load, tightly regulates temperature, is designed to operate 7×24, and can provide humidity control. The other is comfort-cool air conditioners which are made specifically for people cooling, but have been utilized in server room cooling scenarios due to their lower capital and installation cost. Server equipment generates and dissipates heat exactly equivalent to the amount of power it consumes from the source that feeds it. However, properly sizing server room cooling takes into account more than just the heat generated by the IT infrastructure. Calculating the heat load must include losses in power protection and distribution, lighting, heat gain through walls, floor, windows, and/or ceilings, and even the people that will be in the space. Further, proper server room cooling system design takes into account more than just the mathematical comparison between the heat load demand of the room and the cooling capacity of the air conditioner equipment serving it. Proper server room cooling system design must also account for the layout and configuration of the cooling equipment, the IT load components, racks, and/or cabinets as well as the obstacles affecting air flow. 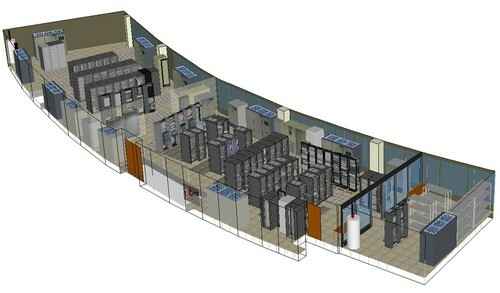 As such, beside a numerical tabulation to select the ideal server room cooling equipment, PTS uses a computational fluid dynamic modeling to verify the design assumptions for the server rooms cooling system under both normal operating and failure scenario conditions.